Hugh began his photographic ‘career’ at the age of 10, by helping his father develop black & white prints at the family home. 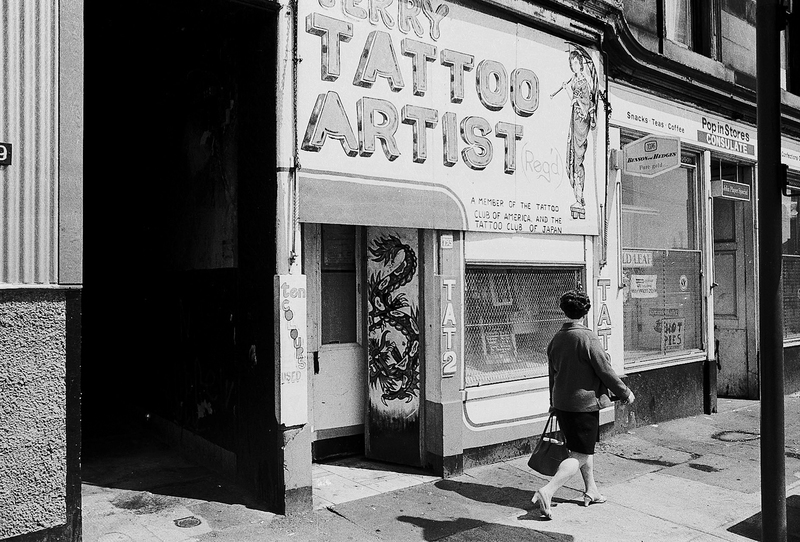 He attended Glasgow College of Printing and around 1972 he bought his first Creative Camera magazine and was influenced by images by Lee Friedlander and Robert Frank. “This Glasgow was a city of ghosts and rubble, its air a miasma of sandstone dust and occluded sunlight. Hugh’s work was local history reframed as National Geographic anthropology… Every totem and trope that made up Glasgow’s visual sense of self was present and correct: the tenements, the cheeky wee boys, the Gorbals back courts, the cranes on the river… Yet the work had to it no civic dimension, it contained nothing that was cherishably Glaswegian, nothing quaint or beguiling: just frank and unblinking assessments of a vanquished city, nursing its shattered jawlines, awaiting the deliverance of some far-distant modern day.” [© Allan Brown, 2013, for Document Scotland]. After moving to London in 1980, Hood ‘lost’ all of his 35mm negatives, but luckily they resurfaced again in 2006 at his brother’s house in Glasgow from where the process of scanning and uploading to his website began. Hugh settled in London in 1983 after studying Film and Photographic Art at the Polytechnic of Central London. He currently works as a Director-Cameraman on documentary films for television. 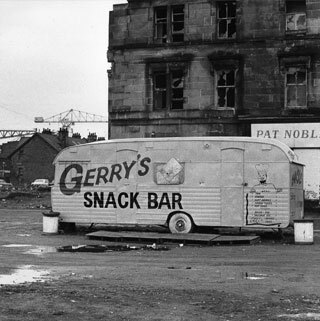 Copies of the new photozine on the series from the exhibition 'Glasgow 1974-78' is available from Cafe Royal Books . Signed copies available through Street Level.